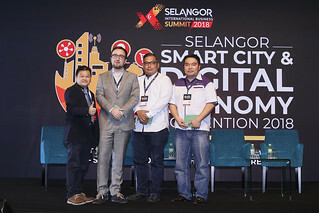 The EC Class titled EC301: Digital Marketing, organised by the Selangor Information Technology and E-Commerce Council (SITEC), saw an audience of 83 attendees partaking of the knowledge and experience shared by the invited speakers. Following the format set for 2017, the class was led by coach David Ho, executive director and principal trainer of Navigator Business Academy, who started off the session with his take on digital marketing. The first lesson Ho had to impart was the importance of a brand name, taking the example of Henry Ford, who sold cars in a time when his was the only brand (allowing for cars to all look the same) and comparing that to other vehicle brands now, showcasing the choices available to consumers. “Branding is important, regardless if you are a startup, or a unicorn business. So focus on improving the brand experience, to keep customers loyal to you,” said Ho. The next lesson he had to impart was that mobile marketing and traditional marketing both have parts to play in an overall campaign, stating that a multi-channel approach is needed. He noted that the culture now is that of a “look-down” culture, of a people who cannot look away from their phones, which only further highlights the importance of mobile marketing. 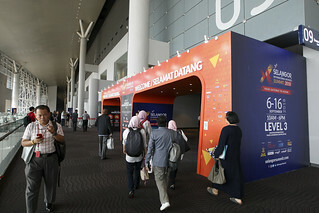 Ho then segued into the topic of social media and image, and noted that “social image has to be taken care of properly, not by some young rookie”, giving the example of Tan Sri Tony Fernandes who handles his own tweets, despite the time-consuming nature. The last lesson he had to impart was the changes to the marketing and sales funnel, taking into account digital marketing. Before, marketing was only about awareness and interest in the product, with the rest of the funnel (consideration, intent, evaluation, and purchase) handled by sales. Now, marketing spans not just awareness and interest, but also consideration and intent, while sharing evaluation with sales, who is only fully responsible for the purchase stage. Ho also called to attention the different means that needed to be employed at different positions in the funnel, in what he called his Tofu, Mofu, Bofu principle. At the Top of the Funnel (Tofu), the content provided should generate leads usually by providing information. The Middle of the Funnel (Mofu) should feature content that generates prospects, such as webinars, case studies, free samples, catalogs, FAQ sheets, spec sheets, and brochures. The Bottom of the Funnel should feature content that generates sales from qualified leads, such as free trials, demos, assessments, consultations, estimates, and coupons. Following Ho as the guest speaker for the session was Bryan Tan, marketing manager of Locus-T Online. The first item he had to share was the importance of mobile marketing as well, highlighting just how important this aspect of marketing will be moving forward. Citing the reason for this being that mobile phones are more approachable and affordable, hence the rise in popularity, Tan also noted that 65% of transactions start on mobile, but also that most SMEs in Malaysia were not taking advantage of this by developing a presence online. “We don’t go online. We live online. Mobile is no longer just a facet of technology, it has developed into a way of life,” said Tan. Tan then defined the micro-moment, which is a moment where we reflexively turn to a device to act on a need we have that moment, be it to learn, discover, find, or buy something. This micro-moment, Tan noted, is linked to the four “I-wants” that make up how a consumer thinks, namely I-want-to-know, I-want-to-go, I-want-to-do, and I-want-to-buy. It then becomes the aim of the marketer to target each moment and provide what consumers want, be it information, directions, offerings, or discounts. To win these moments, being found on the search is the starting point, and the marketer should aim to be there (by anticipating these micro-moments through knowing the target audience), be useful (by being relevant to the consumer’s needs in the moment), and be quick (with a mobile experience that has to be fast and frictionless). Tan then moved to the topic of Google Adwords, and the use of proper keywords. Also mentioned here was the concept of the push and pull strategies of marketing, with pull being matters like keyword optimisation and SEO, and push being matters like Facebook Ads. “The important thing to remember about SEO is that, if you are not interested, you will never, ever, search for it. By searching for it, an interest is already being shown,” explained Tan. Tan then went on to describe the four steps to an online marketing strategy (namely setting clear goals, making a plan to achieve those goals, measuring at the halfway mark, and optimising your approach to meet those goals) with a case study of Viyest Interior Design, a local interior design firm that is now recognised as the only official IKEA Awarded Kitchen Installer, and has increased revenue by 1200% annually, according to Tan. The story of Viyest has also been acknowledged as a APAC case study for Google Adwords, and has also taken second place in the Excellence in Search Marketing category of Advertising+Marketing Magazine’s Marketing Excellence Awards 2016, passing IKEA and following Pizza Hut. During the Q&A session, a question fielded was about the difference between SEO and SEM. The difference, in a nutshell, was that SEO is natural results, while SEM is paid-for. Both, however, come back to how Google ranks websites through their quality score system. SEO results only take into account the quality score of a site, while SEM has to factor in bidding prices for the concerned keywords. Another difference was that SEO takes time, and can be very competitive. SEM (or AdWords, in this context) is a faster, more optimised means. AdWords even allows for the wording in search results to be adjusted, allowing for a tactical advantage against competitors, while SEO only shows text from the site itself. Another question fielded was on the coach and speaker’s view on Facebook Ads versus Google AdWords. The question was fielded by a merchant who deals in mobile accessories. 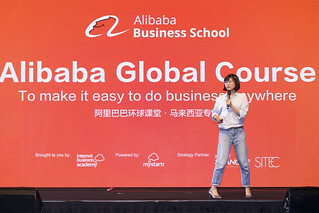 Taking into account the merchant’s scenario, Ho and Tan noted that it comes down to Push Marketing versus Pull Marketing, with the merchant advised to not go against the big guys like Lazada and the other marketplaces. Instead, the merchant should focus on Push Marketing (Facebook Ads), while finding his Unique Selling Point and focusing on that. The first to share was a representative from Sin Chew, who spoke about Sin Chew’s E-Commerce Forum (Chinese Language only) and the Sin Chew Business Awards, which has a category for e-Commerce. The second to share was a representative from Biztory, promoting their solution, which is an integrated system to sell, promote, and deliver. Biztory is already working with a number of marketplaces and logistics providers, allowing an integration across marketplaces for the merchant. The third to share was iKala, a Taiwanese business promoting their StraaS solution to enable merchants to create their own online video business and video apps without hassle.